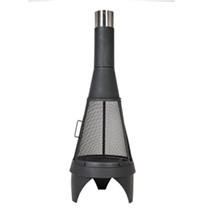 Stylish and contemporary, this La Hacienda Mesh Colorado Steel Chiminea brings a touch of sophistication to your outdoor area. 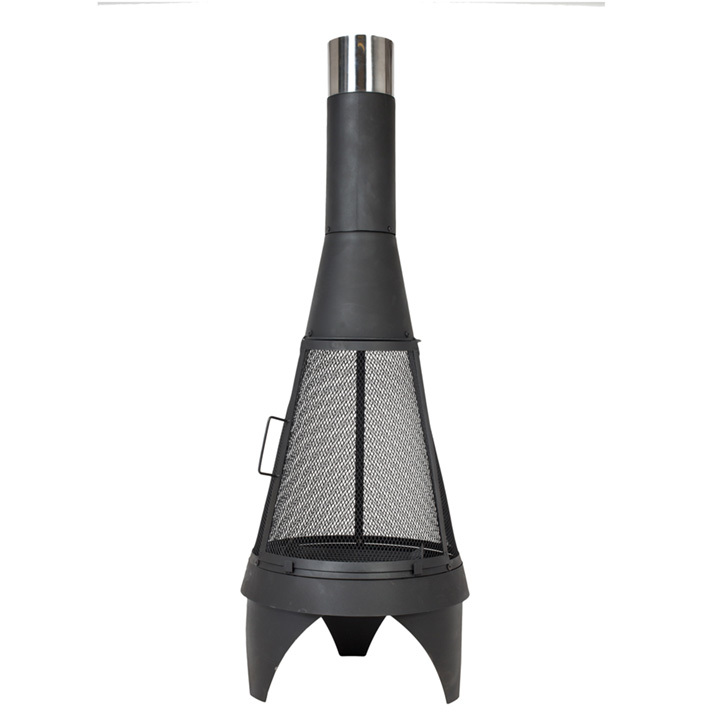 Unlike traditional chimineas, this one has an open mesh design that allows for heat to be radiated all around and not just out the front. 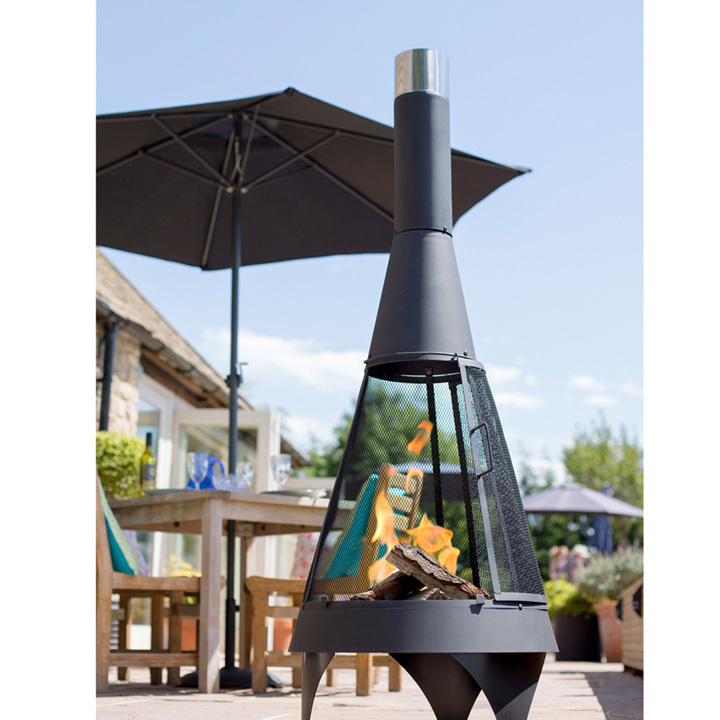 It is sure to add great ambience and warmth for your outdoor entertaining to continue long into the night. There is nothing quite like the natural beauty of living flames on a chilly evening so invite your friends and family around for an evening party and provide a warm and welcoming focal point. Manufactured from heavy gauge, black steel, it is a superb design and the flume keeps the smoke controlled and blowing directly upwards. 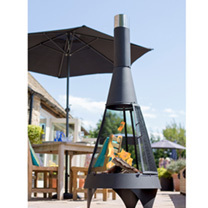 Easy to light, this is a great accessory for any garden or patio and one that is robust and will last for years. It is a great quality product well worth the investment for its durability alone. A La Hacienda best selling product that has a sleek and chic design. Height 160cm; diameter 60cm.